Front page of an April 2006 issue. Gazeta Wyborcza (Polish pronunciation: [ɡaˈzɛta vɨˈbɔrtʂa]; meaning Electoral Newspaper in English) is a newspaper published in Warsaw, Poland. It covers the gamut of political, international and general news from a liberal perspective. Gazeta Wyborcza was first published on 8 May 1989, under the rhyming masthead motto, "Nie ma wolności bez Solidarności" ("There's no freedom without Solidarity"). The founders are Andrzej Wajda, Aleksander Paszyński and Zbigniew Bujak. Its founding was an outcome of the Polish Round Table Agreement between the communist government of the People's Republic of Poland and political opponents centered on the Solidarity movement. It was initially owned by Agora SA. Later Cox Communications partially bought the daily. The company became American Company "Cox Enterprises" in 1993. The paper was to serve as the voice of Solidarity during the run-up to semi-free elections held on 4 June 1989 (hence its title). As such, it was the first legal newspaper published outside the communist government's control since its founding in the late 1940s. The paper's editor-in-chief, since its founding, has been Adam Michnik. He was appointed to the post by Lech Walesa. The paper is published in tabloid format. According to the editors, the first edition was small (150,000 copies) and relatively expensive due to the limited supplies of paper available from the state. A year and a half later, the daily run had reached 500,000 copies. In September 1990, during the acrimonious breakup of the Solidarity camp following the collapse of the communist government, Lech Wałęsa revoked the paper's right to use the Solidarity logo on its masthead. Since then, Gazeta Wyborcza has been a fully independent newspaper which generally supports liberal values. The paper is now a massive multi-section daily newspaper and publishes daily local editions for the following cities: Warsaw, Białystok, Bydgoszcz, Częstochowa, Gdańsk, Gorzów Wielkopolski, Katowice, Kraków, Kielce, Lublin, Łódź, Olsztyn, Opole, Płock, Poznań, Radom, Rzeszów, Szczecin, Toruń, Wrocław and Zielona Góra. Gazeta Wyborcza had a circulation of 432,000 copies during the first three quarters of 1998. The circulation of the paper was 459,473 copies between January and February 2001. Its circulation was 542,000 copies in 2003, making it the second best selling newspaper in the country. The 2004 circulation of the paper was 516,000 copies on weekdays and 686,000 copies on weekends. The average circulation of the newspaper was peaked at 672,000 and it was the largest-selling newspaper in Poland, but by 2010, the circulation had been declined by more than half, to 319,000, and Fakt overtook Gazeta Wyborcza as Poland's leading newspaper. The decline continued in 2013 when circulation was down to 190,000 with a commensurate decrease in advertising revenue. In 2003, Lew Rywin, a prominent Polish film producer, was accused by Gazeta Wyborcza of attempted bribery when he allegedly solicited a bribe of $17.5 million from editor Adam Michnik in exchange for amendments to a media bill. The adoption of the bill in its original form proposed by the government would have prevented Agora S.A. from buying Polsat, one of Polish private TV stations. This case, called the Rywin affair, led to the establishment of an investigation commission by the Polish Parliament. Consequently, Lew Rywin was sentenced for attempting to influence the parliamentary legislative process in a way that would enable a Polish media company to buy a television station. Furthermore, the controversial draft act was rejected by the Polish Parliament. Gazeta Wyborcza has been criticized for distorted coverage of controversial issues such as post-communist vetting, Polish-Jewish relations and the Polish minority in Lithuania. 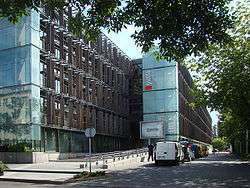 It has also received criticism for using its influence to whitewash former communists, particularly General Jaruzelski. After the fall of communism, the paper was criticized for taking part in an "intensive propaganda campaign" and particularly for rigorously trying to revamp Jaruzelski's image. Gazeta Praca (classified job advertisements, salary lists, Mondays), Gazeta Sport (Mondays), Komunikaty (properties classifieds, Tuesdays), Gazeta Dom (building and furnishing, Wednesdays), Duży Format (reportages, Thursdays), Gazeta Telewizyjna (TV programmes, Fridays), Gazeta Co Jest Grane (cinema and theatre repertoires, film and book reviews, music events, Fridays), Gazeta Turystyka (travelling extra, Saturdays) and Wysokie Obcasy, Wysokie Obcasy Extra (women's extra, Saturdays, since April 1999). The online edition of Gazeta Wyborcza is one of the sections of the portal Gazeta.pl. The paid electronic version of the newspaper is an option. The website wyborcza.pl has been expanded through rankings of articles which are most frequently read and commented on. It presents Polish and global history on most notable covers of Gazeta Wyborcza. Beside analogue sections from the paper edition, the website also provides a feedback section which allows the readers to contact the editorial staff and express opinions). The paper's website links to Gazeta's journalists' blogs, including the ones by: Ewa Milewicz, Dominika Wielowieyska, Jan Turnau, Bartosz Węglarczyk and Wojciech Orliński. The number of journalists who write blogs is constantly increasing. 1 2 3 "The press in Poland". BBC. 29 April 2004. Retrieved 10 November 2014. 1 2 Andrzej Adamski. "Press market in Poland A.D. 2010" (PDF). CeON Repository. Retrieved 10 December 2013. 1 2 "Poland". Press Reference. Retrieved 6 October 2013. ↑ "Polish Dissident Adam Michnik: 'We Are Bastards of Communism'". Der Spiegel (31). 29 July 2013. Retrieved 10 November 2014. ↑ Ryszard Filas; Pawe Paneta (2009). "Media in Poland and Public Discourse". In Andrea Czepek et. al. Press Freedom and Pluralism in Europe. Bristol: Intellect. Retrieved 12 December 2014. ↑ Everete E. Dennis; Jon Vanden Heuvel (October 1990). "Emerging Voices: East European Media in Transition. A Gannett Foundation Report" (Report). Ganet Foundation. Retrieved 28 November 2014. 1 2 "World Press Trends" (PDF). World Association of Newspapers. Paris. 2004. Retrieved 15 February 2015. 1 2 "Selected Financial Data" (PDF). Agora Holding. Retrieved 7 April 2015. ↑ "Polish national dailies - circulation and sales". OBP. Retrieved 2 December 2014. ↑ Radek Sikorski. Lack of solidarity - Poland's political problems. National Review, 18 October 1993. ↑ Voytek Zubek. (1994). The Reassertion of the Left in Post-Communist Poland. Europe-Asia Studies, 46 (5), p. 818. ↑ Jan Puhl (18 February 2010). "'Turbo-Emancipation': Polish Women Enjoy Post-Communist Success". Der Spiegel. Retrieved 10 November 2014.